Based in integrity and compassion, Dr. Susan Taylor is committed to providing only the dental solutions that are in the best interest of her patients. Rather than dictating treatment, Dr. Taylor enables her patients to make their own educated oral health decisions by verbally and visually explaining any dental issues and all possible solutions. Dr. Taylor is conservative in her approach and only performs treatment that is necessary and truly beneficial for both short-term and long-term results. A perfectionist with an eye for natural-looking aesthetics, Dr. Taylor applies the latest dental techniques and technology to resolve any critical oral health issues while achieving exceptional cosmetic dental results. Dr. Taylor works hand-in-hand with her lab technicians to ensure the perfect the shape, shade and translucency of custom veneers, crowns and implants. A native to Orange County, California, Dr. Taylor graduated from the University of California, Santa Barbara in 1990. 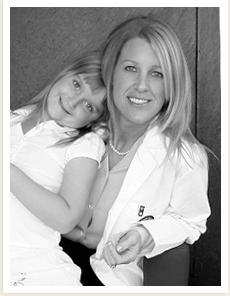 She received her Doctor of Dental Surgery degree from the Louisiana State University School of Dentistry. In a never-ending quest for knowledge and learning, Dr. Taylor is also a published author of dental studies based on her own research and has presented her award-winning work nationwide to the dental community. Dr. Taylor is honored to be a faculty member for Spear, the most prestigious continuing education organization for dentists already in practice. Essentially, Dr. Taylor teaches other dentists the latest and greatest techniques in cosmetic and restorative dentistry.